The decision to publish harp music and, consequently, to create an actual music publishing business did not come lightly or fully formed. In the process, one thing led to another and suddenly, with the recognition of the need to disseminate valuable music of the past and present, coupled with the awareness of its magnitude, the task at hand grew into something unforeseen that demanded to be embraced, despite its challenges. 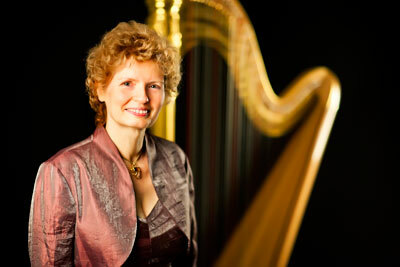 Editor and publisher Dominique Piana is uniquely positioned culturally to understand the value of both the established and hidden (shadow) repertoire of the harp, at face value and within the context of music literature at large. Her multicultural European background and thorough old-fashioned music education, through a music school system (music academies and conservatory) harking back to the 19th century, together with her personal interest in history, music history and the evolution of the human soul, as well as her exposure to great musicologists and close connections to pioneers of harp history, prepared and ordained her for this task. Yet her pursuits and completed work defy categories, as her passion remains constantly on the move. Her quest is defined by one standard: a work of art must appeal to the heart as well as to the spirit. Where is the public or audience for such an undertaking at a time when most concerns are utilitarian, given the state of the economy, and the prevailing vision is safely ensconced in long-established patterns, from country to country, and in partisan schools of thought? Could what is offered here be coming too late or appearing too soon? The decision has been made to provide content, nevertheless, regardless of fashions or trends, and timing or readiness. There is no time like the present, at least in terms of delivery. Only one thing is requested of you, the gentle reader of this website: a little curiosity. Come and let yourself become engrossed in some of the sweet memories of history. Every piece of music saved for posterity adds variety of expression to our inner world. Even if we can’t play it all, we can at least drink in the energy and feelings channeled by others, living or dead, and allow their contribution to be part of our inheritance. For this reason, as much information as possible is given away freely on this site. The effort put forth will come full circle with your response, however and whenever it is manifested. As a side note, in the mid-20th century writers in Harp News (of the West), such as Virginia Morgan of San Francisco, used the noun “harpiana” to refer to “things pertaining to the harp”. The company name was created long before this came to our attention, but we hope it increases its universal value!